My Look of the Day is the Aztec Wool Skinny Fit Peacoat, from TopMan. Guys you may be feeling warmer temps depending on your local, but don’t be fooled the cold winter air is just around the corner and what better look to brave the elements than with this great fitted peacoat from TopMan. The Skinny Peacoat is made from 50% Polyester, 25% Viscose, 18% Acrylic, 4% Wool, and 3% Nylon. 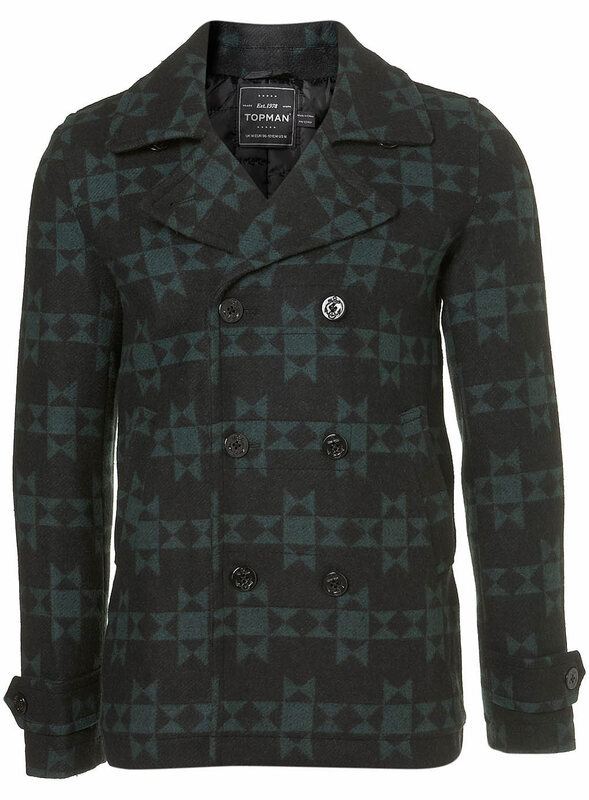 Color: Black, Price: $180 www.us.topman.com Order over $75 receive free shipping.